You will find on these pages hundred of celebrities with the Moon in Taurus and the Ascendant in Virgo. 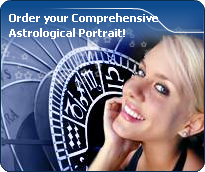 Just click on the names of your choice to see the horoscopes of celebrities who have the Moon in Taurus and the Ascendant in Virgo. Donald McKinley Glover (born September 25, 1983 (birth time source: Viktor E., Astrodatabank, birth certificate)) is an American rapper, actor, writer, comedian, and producer. Glover first came to attention for his work with Derrick Comedy and for subsequently being a writer for 30 Rock. Florence Nightingale, OM, RRC (12 May 1820 (birth time source: Robert Jansky, Astrodatabank, another source gives 8:45 AM) – 13 August 1910), who came to be known as The Lady with the Lamp, was a pioneer of modern nursing and a noted statistician. Françoise Dorléac (March 21, 1942 (birth time source: Didier Geslain) - June 26, 1967), was a popular French actress. She was the daughter of screen actor Maurice Dorléac and Renée Deneuve. Also the elder sister of the now better-known Catherine Deneuve. The two sisters starred together in the 1967 musical, Les Demoiselles de Rochefort. Ian Scott Anderson (born August 10, 1947 in Dunfermline, Fife (birth time source: Steinbrecher, birth certificate)) (also known as 'The Voice of Jethro Tull') is a Scottish singer, songwriter, guitarist and flautist best known for his work as the head of British rock band Jethro Tull. Marthe Robin, born March 13 1902 in Châteauneuf-of-Galaure (Drome), in the district of Moïlles, and deceased on February 6 1981, was a French, inedic and stigmatized mystic. Sacha Guitry (February 21, 1885 – July 24, 1957) was a French film actor, director, screenwriter and playwright. Born in St. Petersburg, Russia, he was the son of Lucien Germain Guitry (1860–1925), a major Parisian stage actor who spent nine years at the Michel Theater, in St.
Candide Thovex is a French professional Skier. History Thovex learned to ski in the Aravis region of the French Alps called La Clusaz. La Clusaz is where his childhood friends and girlfriend live and where he perfected his big air technique. He quietly burst on to scene when he in 1998 he took fourth in the X Games Big Air. Kim Hyun Joong (Hangul: 김현중, Hanja: 金賢重) was born on 6 June 1986 (birth time source: twitter, on March 30, 2013). He is a South Korean entertainer and the leader of boyband SS501. Kim is well-known for his role as Yoon Ji Hoo in the 2009 Korean drama Boys Over Flowers, winning Best Actor Award at the Seoul International Drama Awards 2009 and Popularity Award at the 45th PaekSang Arts Awards. Rudolf Christian Karl Diesel (March 18, 1858 – September 30, 1913) was a German inventor, famous for the invention of the Diesel engine. Early life Rudolf Diesel was born in Paris in 1858. His parents were Bavarian immigrants. Rudolf Diesel was educated at Munich Polytechnic. Jan-Michael Vincent (born July 15, 1944) is an American actor most well-known for his role as helicopter pilot Stringfellow Hawke on the 1980s U.S. television series Airwolf (1984-1986). Vincent had an extensive television and film career that began in the late 1960s and lasted until the early 2000s. Theodor Ludwig Wiesengrund Adorno (September 11, 1903 – August 6, 1969) was a German sociologist, philosopher, pianist, musicologist, and composer. He was a member of the Frankfurt School along with Max Horkheimer, Walter Benjamin, Herbert Marcuse, Jürgen Habermas, and others. He was also the Music Director of the Radio Project. Véronique Nichanian, born May 3, 1954 in Boulogne-Billancourt, is Artistic Director of French luxury brand Hermès. Véronique Nichanian joined French luxury brand Hermès as Artistic Director of men’s ready-to-wear in January 1988. Later that year, her first collection at Hermès earned her the City of Paris Grand Prix of Creative Art. Pascal Nègre, born August 4, 1961 in Saint-Germain-en-Laye (birth time source: Didier Geslain, birth certificate), is a French businessman and former radio host. He was CEO of Universal Music France. Universal Music Group (UMG) is the largest business group and family of record labels in the recording industry. Janis Ian (born April 7, 1951 (birth time source: email)) is a Grammy Award-winning American songwriter, singer, multi-instrumental musician, columnist, and science fiction fan-turned-author. She had a highly successful singing career in the 1960s and 1970s, and has continued recording into the 21st century. Noël Rota, best known as Helno, born December 25, 1963 in Montreuil (birth time source: Didier Geslain, birth certificate) died January 22, 1993 in Paris (drug overdose), was a French singer and member of pop group les Négresses Vertes. Les Négresses Vertes, formed in 1987, are a French music group who are best described as a fusion of world music and some aspects of alternative rock.